Farsø Fjord Camping is a campsite with 200 touring pitches and 60 year round pitches. During low season, between 15-03-2019 - 30-06-2019, 12-08-2019 - 25-08-2019 and 01-09-2019 - 01-10-2019, the nightly rate is €18,- at one of the 200 touring pitches at Farsø Fjord Camping in Farsø (North Denmark). At this campsite you can not only use your CampingCard ACSI for inexpensive camping, you can also use your ACSI Club ID (as an alternative ID). 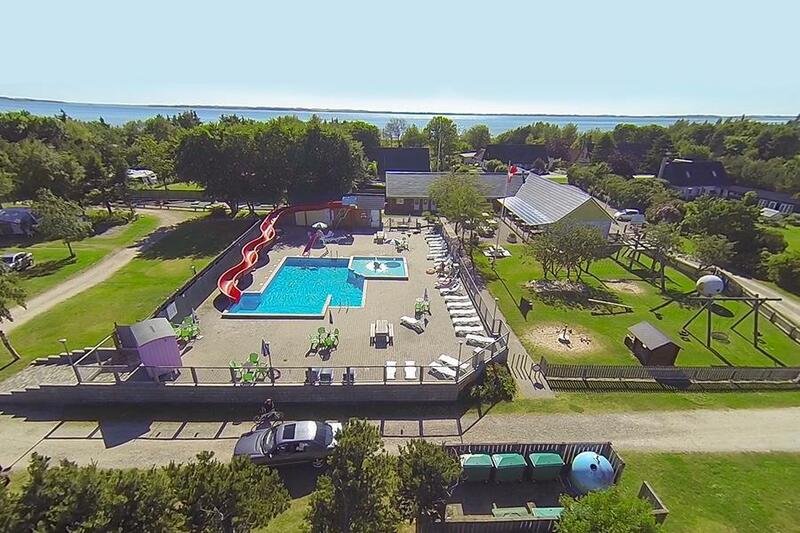 A quiet family campsite in a natural area 100 metres from the Limfjord. Solar heated swimming pool, fishing, minigolf and dog exercise area (2 hectares) on the campsite. Cycling and walking opportunities. Free wifi. Would you like to book Farsø Fjord Camping or request more information? You can do both using the information below. Campsite located on route 533 Viborg-Løgstør, 40 km north of Viborg in Stistrup. Campsite signposted. CampingCard ACSI will send your information request to "Farsø Fjord Camping".